Sorry I didn’t get to both finals this week bit the drive to Mandurah was nice and the game between the aligned teams was pretty good. Peel kicked the first two goals of the game but they never really looked convincing. 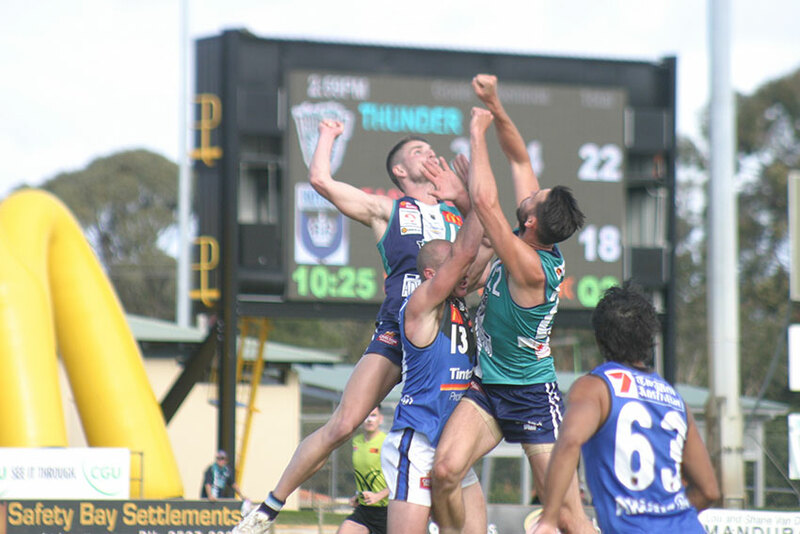 It became pretty clear early on that the difference between these two teams was Brendan Lee – his energy, his versatility and his effectiveness make him East Perth’s understated weapon. Yes, it was more than than Lee but he did teach the young and talented Thunder midfield a thing or two. Stephen Payne was good again for the Royals, Kyle Anderson was superb in defence and kicked a crucial last-quarter goal, Garry Moss set things up nicely and Kane Lucas continued his good form. Matt Taberner couldn’t buy a mark in the first half but he kept on presenting and his five second-half goals should ensure his season keeps going, Ed Langdon was constructive in defence as were Tanner Smith and Josh Bootsma. Brendon Jones played his first and maybe last final and started with a brilliant goal and continued to marshall his team throughout. The Royals kicked 3.10 in the last quarter and that suggests this game wasn’t as close as the scoreboard suggests. Over at Leederville Subiaco gave the message they’ve giving all year – we’re better than you. It was tight early but West Perth kicked just four goals after quarter time as the Lions put on their squeeze. The strange thing about Subiaco is that they don’t have a real ruckman – even stranger is that their two pretend ruckman Clancy Wheeler, who kicked three goals, and Lachlan Delahunty were two of the best players on the ground. Sam Menegola was good again, Shane Yarran returned to form with three goals and Brett Robinson was strong in the midfield. Aaron Black and Shane Nelson were good for the Falcons and Michael Lourey kicked three goals. Meanwhile Logogate is over and the preliminary final will be televised next week. And that’s nice because it will be a derby between East Perth and West Perth at Arena Joondalup and the crowd should be huge. And there was something nice at the three quarter time break at Rushton Park today – silence. No inane readings of lists of sponsors… it was magic. 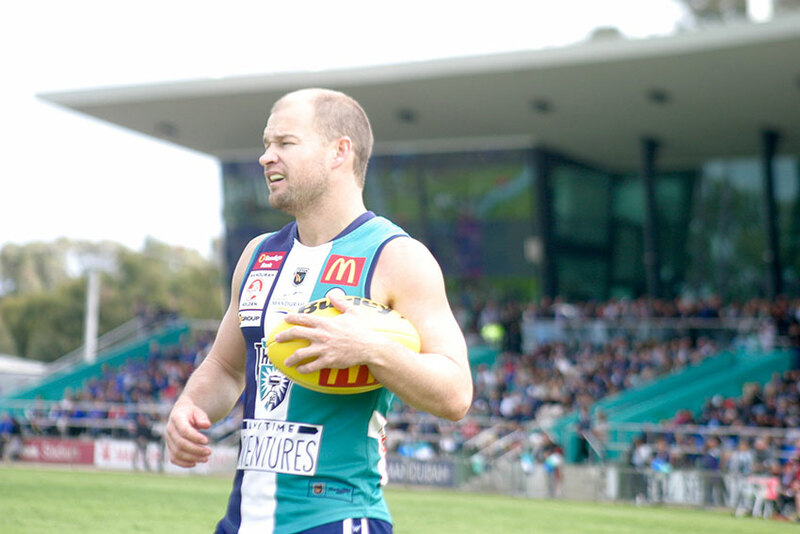 Brendan Jones prepares to kick the first goal of his first final.